Mix in a salad bowl the flour, the baking powder and the cottage cheese. Add to your mixture the eggs and the olive oil. End with the Parmesan cheese, the dried tomatoes, the feta cheese and the black olives. Try your mixture and add salt and pepper at your convenience. 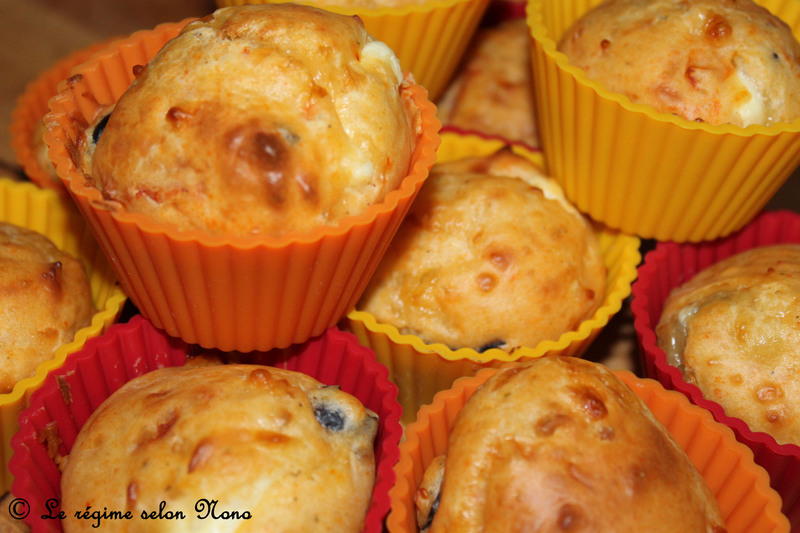 Put spoon by spoon your preparation in your mini-cupcakes and in the oven during 20 minutes at 150°C. As soon as your muffins are glazed, take them out and… eat them cold or warm ! Mélangez dans un saladier la farine, la levure et le fromage blanc. Ajoutez à votre mélange vos oeufs battus et l’huile d’olive. Terminez par le parmesan, les tomates séchées, la féta et les olives noires. Goûtez votre mélange et salez et poivrez à votre convenance. Mettez cuillère par cuillère votre préparation dans vos mini moules et au four pendant 20 minutes à 150°C. Dès que vos muffins sont bien dorés, sortez-les…A manger froid ou chaud ! I want to try these. Thanks for entering. 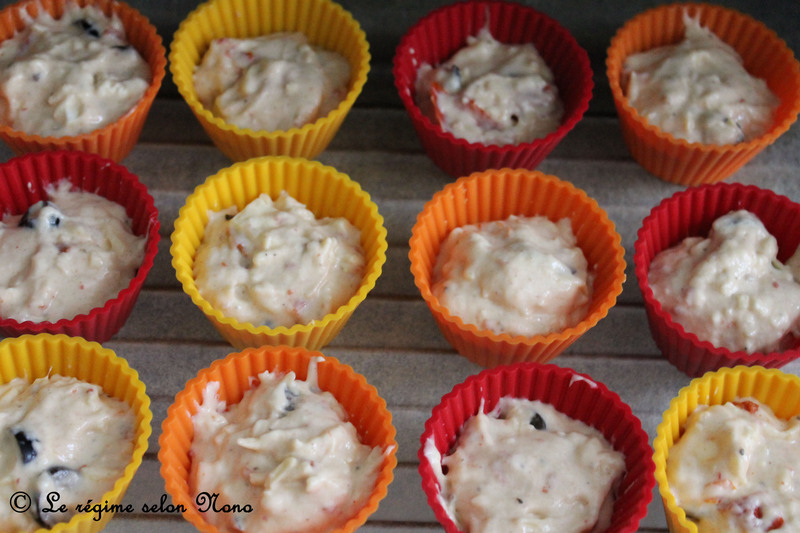 parmesan, cottage cheese, sun dried tomatoes… i love the ingredients.